When staying in Connemara, our team at Connemara Coast Hotel are on hand to help you decide on your iternary. 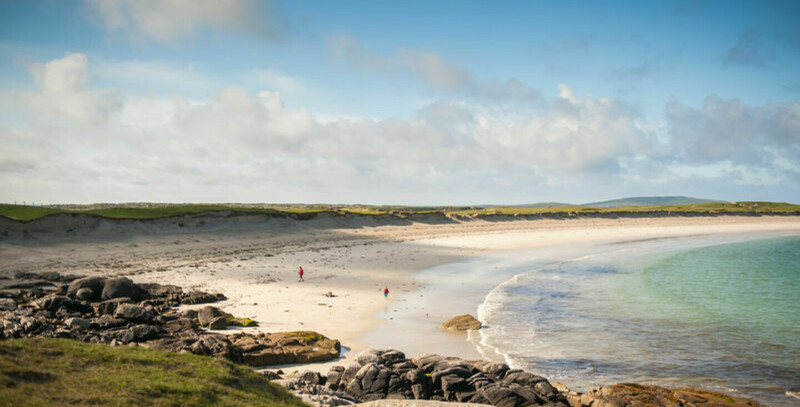 Connemara is a unique landscape of beautiful scenery famous the world over, there's so much to see and do we've listed 25 things below to do when visiting Connemara! Swim in Dogs Bay or Gurteen Bay. Go golfing in Ballyconnelly Golf Club, one of Ireland’s finest links courses. Climb the famous Maamturk Mountain Range. Have a leisurely lunch in O’Dowds in Roundstone. Spend some time in the Padraig Pearse Cultural Centre near Rosmuc. Swim at Coral Beach, Carraroe. Walk the beaches Omey Island, a tidal island. Take a boat trip on Killary Harbour, Ireland’s only fjord. Climb the the Derryclare Horseshoe. Go to the mart at Maam Cross. Visit the village of Leenane, where the famous movie The Field was filmed. Cycle along the beautiful Lough Inagh Valley in the heart of Connemara. Walk the extensive gardens of Kylemore Abbey. Drive out to Renvyle and have a leisurely lunch in Renvyle House Hotel. Preferably cycle or walk the Sky Road. Hike up Diamond Hill in Letterfrack. Visit the site of the Marconi Station in Ballinaboy along with the crash site where Alcock & Brown ditched their plan after the first non-stop Trans Atlantic flight. Walk in a bog and appreciate the flora, fauna and silence. Stop in Recess and enjoy some retail therapy. Walk some of the old railway line in the Ballynahinch Estate and have Afternoon Tea in Ballynahinch Castle afterwards. Drive out to Lettermullan, a wild windswept place. Go surfing at Dunlaughin, Ballyconneely. Visit the Village of Spiddal and shop in Standun’s, a unique shopping destination of quality Irish products, fashion, arts and crafts. Visit Dan O’Hara’s Farm just outside Clifden. Spend an energetic day at Delphi Adventure or Killary Adventure Centre’s.